Types of alternative medicine may vary from treatment to treatment, but the one thread they share in common is the method of treating the entire body rather than an isolated set of symptoms. It's a medicine that respects you as an individual rather than a package of individual body parts. What all these alternative medicines have in common is the recognition that the human body is a complex, interconnected organism. No illness or injury works in isolation. Rather every illness affects the body as a whole, and treatment must consider the whole body as well. 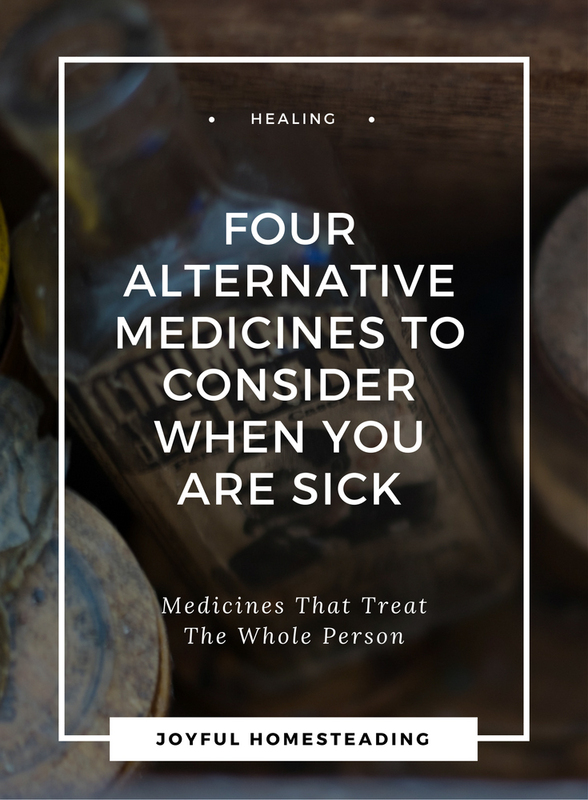 Here are four types of alternative medicine to consider the next time you aren't feeling well. Acupuncture is one alternative medicine that has been practiced in China for thousands of years. Like other alternative medicines, acupuncture recognizes that an imbalance in the human body can cause illness. The medicine of acupuncture also recognizes that energy exists in the body that can be stimulated to promote healing. With acupuncture, very thin needles are inserted into the skin at specific sites, called acupuncture points or meridians. This form of medicine can be a powerful way to treat pain. Chiropractic emphasizes diagnosing and treating problems relating to your spine. Because your entire nervous system is tied into your spine, any disorder there can affect all of your nerves and, as a result, your health. By manipulating your spine, joints and other soft tissues, your spine is brought back into alignment, promoting better health and well-being. But be very careful when seeking out chiropractic care. A bad chiropractor can do far more harm than good, so be sure to ask around and find a chiropractor with a good reputation and a history of good results. Naturopathic medicine relies on the innate healing ability of the human body to heal itself. A naturopath will teach you about diet, exercise and lifestyle changes among others to help your body ward off and fight disease. They also realize that symptoms of illness and disease will continue to return unless the root problem is found and treated. Naturopaths focus on education and prevention of illness. They believe symptoms should never be suppressed, as they are the body's attempt to heal itself. They also believe the rule of "first, do no harm." To that end, they will try to find the least invasive method of treatment available. Homeopathy is yet another alternative medicine that treats the whole body, rather than the symptoms. Traditional doctors dismiss homeopathy as quackery, but research has shown that homeopathic medicines help with sleeping disorders, and it has had a powerful healing influence in my own life. We have used homeopathic medicine in our family for years for a whole range of symptoms, from teething pain in our three children to migraine relief and help with my husband's tennis elbow. Homeopathy uses minute substances found in nature to trigger a healing response within the body. You can learn more about it here.